I originally wrote this essay back in 2008 as an assignment for a college English class. The task was to write a first person narrative from a personal experience similar to what you might hear in one of those fantastic ten-minute long journalistic pieces on NPR. I was inspired to revisit and publish this piece by the splendid series of short essays the experience of seeing a film at a movie theater at Salon.com, "Slide show: The movie experience I can’t forget". In particular, Kartina Richardson’s remembrance of watching Pickup on South Street with a crowd for the first time resonated deeply with me. I had a similar experience when I saw my beloved Out of the Past with a crowd for the first time when it played at The Starz Film Center in downtown Denver. It’s the type of place that makes you wonder, "Why would anybody pay to see a movie here?" The theater is a relic of years gone by. The room is small, reminiscent of those movie theaters they used to build inside shopping malls. The seating arrangement is old-fashioned with rickety chairs that wander up a gentle slope, not at all like the modern multiplexes with their reclining chairs formed in the stadium seating style. And, the prime viewing area in the center of the theater has been set aside for a walkway rather than seats. This is the Starz Film Center. So, why would anybody pay to see a movie at the Starz Film Center when they could go to one of those sparkling new theaters with the latest technology in sight, sound, and comfort? They come for the films. The Starz Film Center is home to the Denver Film Society, an organization that brings us Denver Film Festival each October along with a slew of classic movies throughout the rest of the year. The digs don’t inspire, but, fortunately, the programming usually does. 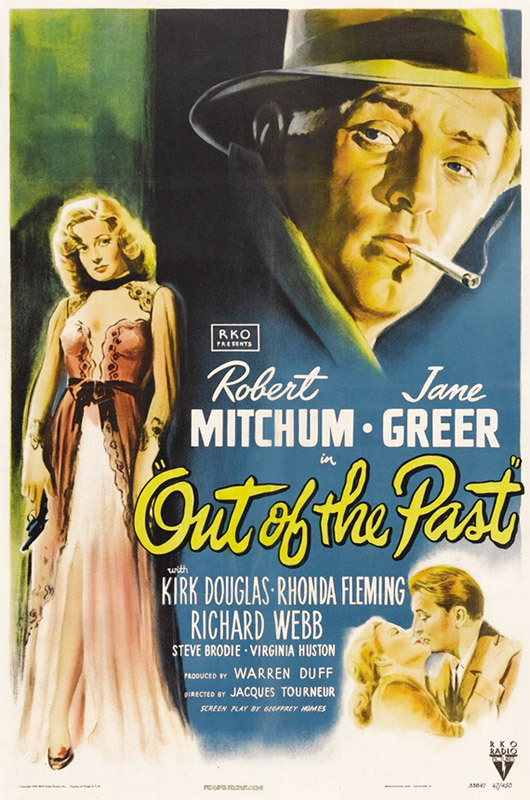 Tonight’s feature is the noir classic, Out of the Past, starring Robert Mitchum and it’s playing to a near-capacity crowd. With no companion to talk with, I sample the crowd. To my left sits an elderly woman, also alone, with a gentle, unwavering smile planted across her face. She looks to the screen, patiently. In front of me a middle-aged man describes to his date why this film is one of his favorites. She doesn’t seem to share his passion but nods anyway. Behind me, a group of men in their early twenties talk loudly about the state of the economy; students, to be sure, letting everyone around them know exactly what it is that they are discussing and the fact that they do know something about it. I overhear a woman mention Ingmar Bergman’s film, Wild Strawberries, in a conversation otherwise indecipherable to me. Amidst it all, a middle-aged man sits in the front row, gazing through the crowd with a proud smile on his face. It’s no surprise when he is later called to the stage to give an introduction to the film and he too describes it as one of his favorites. With the lights down, the aesthetics of the room give way to white light and dark shadow of the black and white film being projected onto the screen. The mood is no longer defined by the room but by the energy of the crowd. As the film plays the audience comes alive, often expressing themselves with uproarious laughter. But these aren’t the snickers of those who find "old" films to be silly and outmoded. This crowd is enjoying every double-cross, double entendre, and clever one-liner that is thrown our way. 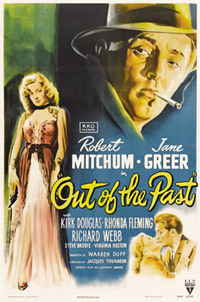 I’d seen Out of the Past before—many times, even—but I never realized how much fun the film was until now. This is why I go to the Starz Film Center: to experience classic films on the big screen and to learn something new about an old favorite from a few hundred other film fans. It’s an experience you just can’t get at home.